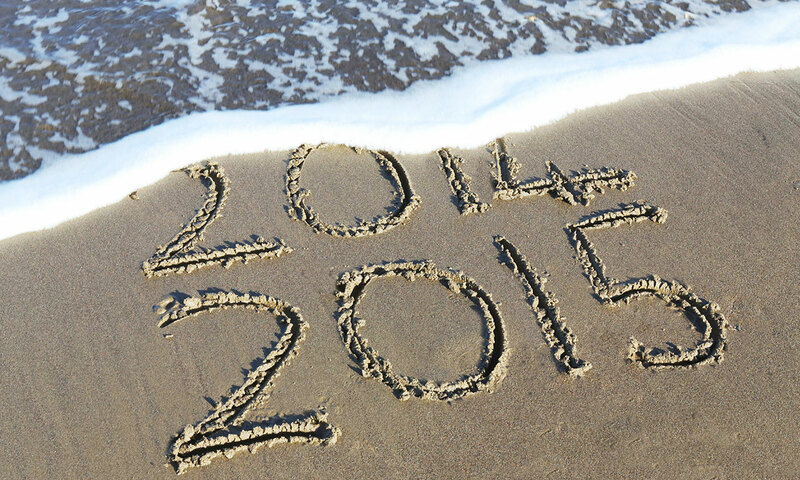 2014 has been a transitional year. Gaps are emerging between bold, nuanced and experienced organisations, which are taking advantage of the change occurring to create competitive advantage based content marketing. In contrast, many organisations are struggling to transition from the traditional models of media and content creation & planning, to take advantage of new business models. We believe 2015 will provide clarity on a number of potential innovations that have been in their period of beta in 2014, but we call out three of the evident shifts in behaviour that have occurred in the content environment. Throughout 2014, video continued to grow exponentially (mobile video advertising grew 196% in 2014 - IAB) and this year saw brands from eBay through to Burberry experimenting with ecommerce videos, demonstrating that regardless if you’re selling a product for £50 or £5000, there is a demand among consumers for online shoppable content. In November, online retailer ASOS produced an interactive video with shopping at the heart ‘Colour Control’ , which enabled viewers to take control of the video themselves and choose to view screens in red, yellow, green, blue or black, switching seamlessly along with the opportunity to shop the video. Philips created the first mobile-enabled interactive video for their ‘Click n Style’ campaign. The site offers extensive styling tips and viewers can switch between 6 characters and decide how the story develops. Nowness, owned by LVMH, launched two shoppable videos this year, where the viewer can click on any item in the film and it will be saved to a ‘boutique’. So far these videos for Nowness have averaged a 13% conversion rate. Levi’s rolled out a shoppable film on its new digital platform as part of the $96m global campaign ‘Live in Levi’s’. It invites consumers to upload images or messages to tell stories about their favourite moments wearing Levi’s products. The idea of the campaign is to attract a wider consumer base among the 18-29 year-old demographic and reposition the brand ‘back at the centre of culture,’ Jen Say, global chief marketing officer at Levis’s told The Drum in June. The RAF also created an interactive video series, ‘Operation X’ inviting viewers to engage in the everyday decisions RAF soldiers have to make in a game-like format with links to further information. The multi-channel interactive campaign puts the viewer in the midst of the action, effectively recreating the experience of serving in the RAF. Another highlight this year was H&M’s shoppable ad during the US Superbowl Viewers could shop David Beckham’s underwear line through their Samsung Smart TVs to drive engagement and capitalise on impulse buying decisions. According to the Content Marketing Institute, 70% of people would rather learn about a company via an article than an ad, and this year saw the growth in brands becoming publishers in their own right. A notable example of this was luxury online retailer Net-a-Porter launching its first Porter print magazine in February. The glossy publication’s initial print run was 400,000 copies – almost six times the distribution of Newsweek. It enables readers to shop the magazine, offering them a holistic brand experience that merges commerce and content in a way that resonates and adds value for their customers. We also saw more brands becoming documentary producers for example Vans’ Off The Wall series as a means of connecting with their audience and demonstrating there is a hunger for long-form content. Coffee brand Illy produced a mostly un-branded documentary called ‘A Small Section of the World’ telling the inspirational story of a group of female entrepreneurs. This - along with the wildly popular Chipotle documentary series ‘Farmed and Dangerous’ - demonstrates that brands are responding to consumers increasing interest in and concern for issues surrounding sustainability and corporate social responsibility. Beautifully crafted, engaging content is putting these issues at the heart of the brand identity. But The LEGO Movie, grossing $468m, and resulting in an 11% increase in the brand revenue in the first six months, is perhaps the best example of the opportunities for success that long-form content can offer. There has been a significant increase in global brands engaging in blogger-brand partnerships. With the average online user watching around 100 videos per month and the high viewing figures and social shares that ‘how-to’ and ‘pick of the week’ videos draw, it’s no wonder brands have started to take advantage of this to reach their audience. Although vlogging can be traced back to 2007, this was the year the mainstream media really took note. Some of the most successful vloggers, including Tanya Burr and Zoella, who registered the highest first-week sales for a debut author since records began, have a reach of up to 26 million subscribers. This exploding trend has however, opened up a few questions regarding blogger transparency. The ASA famously banned the Oreo Lick Race in November for failing to make it clear that the brand sponsored the Vlogger content.